About 5 years ago I received my first QSL card in the mail. I didn’t really have an idea what to do with it but I knew I had to respond with a card of my own. Since then I’ve received many cards both domestically and from the bureau. I need to make a card for response before I get more overwhelmed. Some of the cards I’ve received are well thought out and have really excellent quality. I didn’t want to reply with some generic card using one color on card stock. I wanted high quality glossy cards and I wanted to put some serious effort into the design. Well… That was 4 years ago. I still don’t have a card because I set my goals too high. That was until I found my doppelganger. There is a person out there that looks very similar to me. He Photoshop himself into a couple images and one of them made me burst out laughing. I thought it would be a great QSL card. The picture was of him riding a “40 ounce” bottle of in space with rainbow coming out the end of the bottle. Instead of a bottle, I thought it would be funny if I was riding my K3 instead. One night I finally decided to do it. I setup my camera on a tripod in my shack, sat on a stool and took some pictures with me holding a bottle of beer. After some Photoshop work later, this was my first draft. 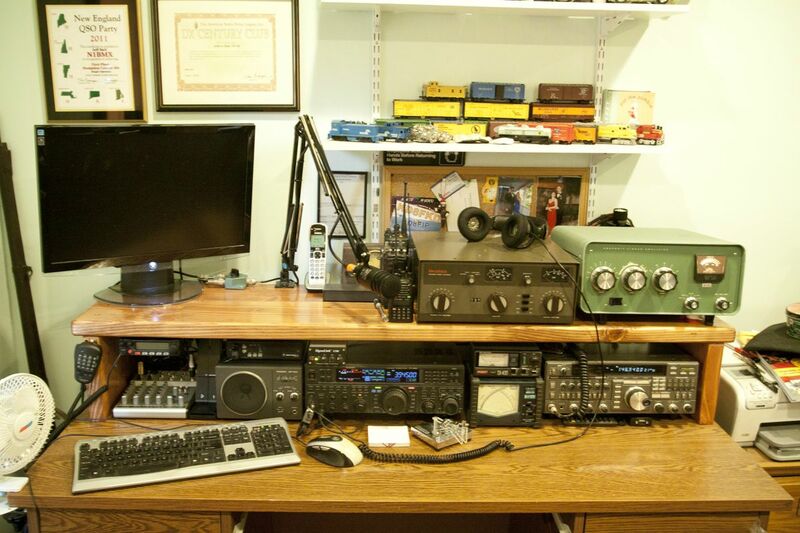 I thought I was done and posted it up on twitter and some amateur radio related chat rooms I hang out in. Suggestions started pouring in on what I should add to the card to make it even better. At this point I didn’t care and wanted to go for shock value. So I added almost everything that was suggested. However I didn’t want the additions to take away from me riding a K3. Now it’s a very busy card. They are mostly filled with internet memes along with some semi-random stuff. An internet meme is “an idea, behavior, or style that spreads from person to person within a culture through the internet” according to Wikipedia. I will break down each one. On the top left you will see a man peeking out from the side of the card. 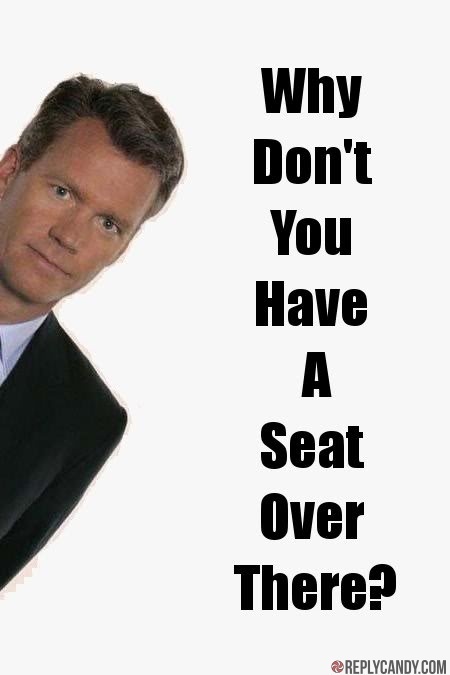 That man is Chris Hansen from NBC’s dateline. He’s known for his “To Catch A Predator” series where he catches child predators. This image is often used across the internet when someone makes certain comments about underage people. There is no particular reason I used it other than it being a suggestion from someone on IRC. He’s an actor that appeared in many movies and television shows but on the Internet he is known for his appearances in commercials for a medical supply company. The commercials focus on Diabetes related supplies. 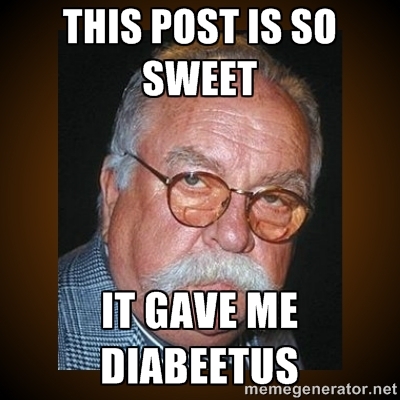 The commercials are sort of funny because of the way he pronounces Diabetes as diabeetus. He is often used when people are discussing deserts, candy and the obese. I can actually relate to this because I have Type II Diabeetus. When someone suggested to use him, I went with it right away. Between Chris and Wilford, you will see the Kool-Aid man. 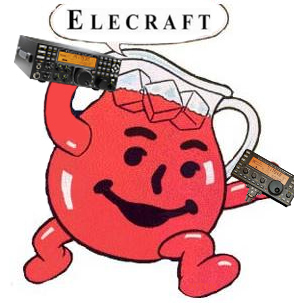 Except I photoshopped the Kool-Aid man to be holding a K3 and KX3 and saying Elecraft instead Oh yeah! 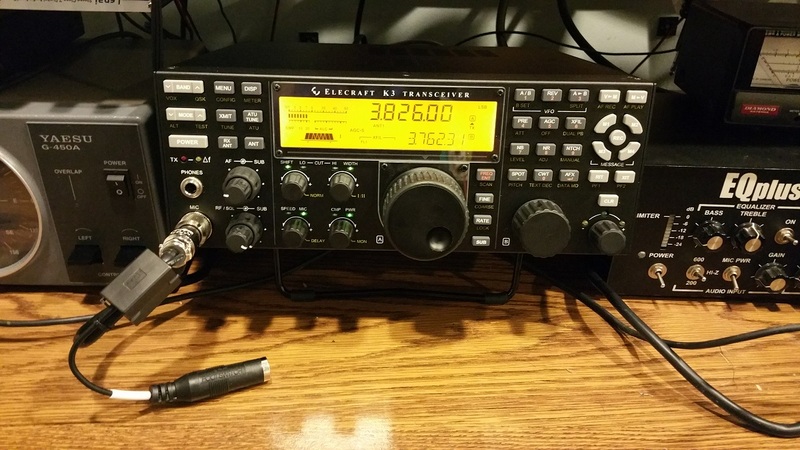 Even though at times I may be critical of Elecraft, I own a couple of their radios. People often say I was “drinking the kool-aid” which is a term that is associated with giving in because of popularity, peer pressure or persuasion. It can be also associated with those who have a strong belief of something without really looking into it. This references the Jonestown Deaths where cult followers lead by Jim Jones consumed poisoned flavor drink (it was actually Flavor aid) which caused the deaths of over 900 people. 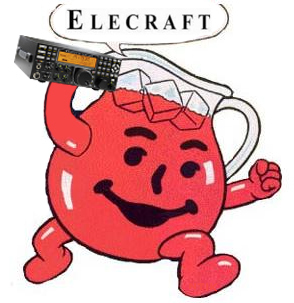 In various internet forums and chat rooms I frequent, I often joke around saying that you should only purchase Elecraft products. The same way some might tell you to get a mac, pc, or android device. 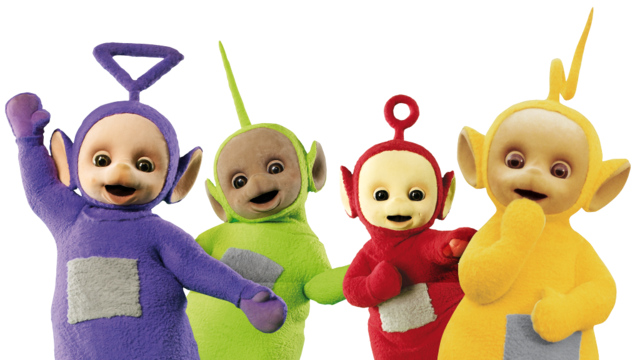 To the right of the Kool-Aid man you will see a teletubby. 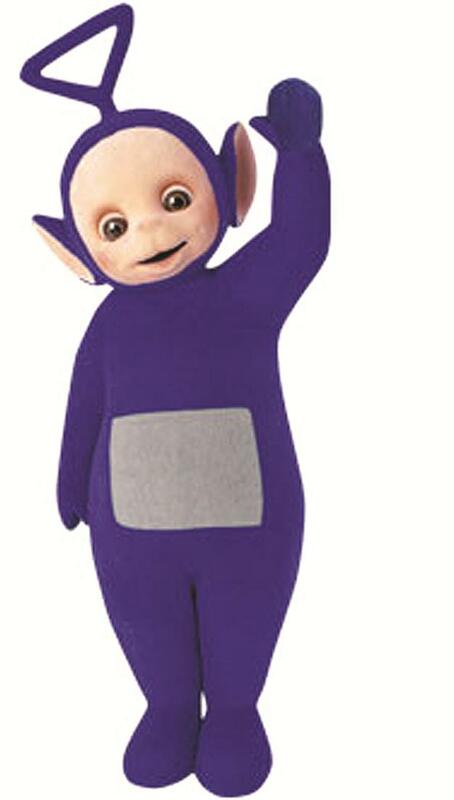 I added the purple teletubby for no reason other than it was suggestion to add it from Tom, @AJ4UQ on Twitter. Look on the top of their heads. 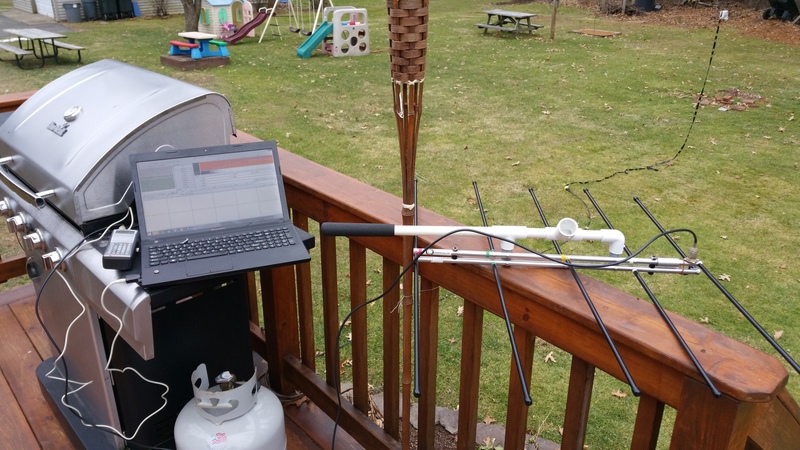 You have a Delta Loop, Vertical, Magnetic loop and a Vertical with a loaded coil antennas. 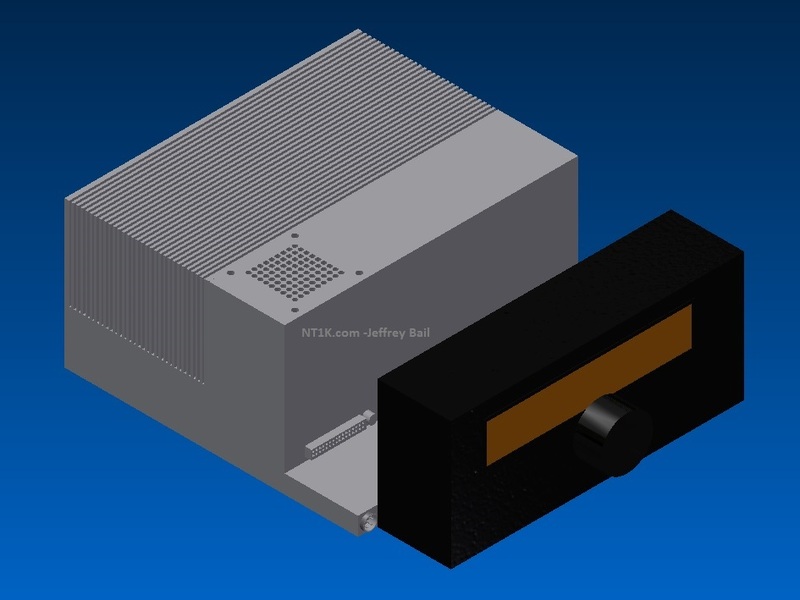 Both were suggestions by those in the Internet Relay Chatroom (IRC) #redditnet on irc.geekshed.net . 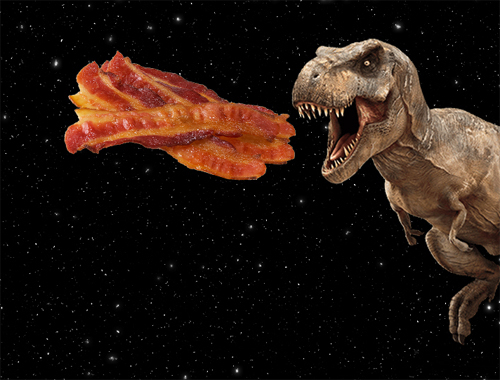 Since I love bacon I figured why not put it into the card. I am not a fan of the T-Rex but it’s the most recognizable dinosaur so I figured to use it instead of a triceratops which is my favorite. Below the T-Rex is Giorgio Tsoukalos, AKA the “Ancient Aliens Guy”. This is a really famous internet meme of Giorgio from one of his many appearances on the show “Ancient Aliens”. The show tried to connect origins of technology used in history to aliens. He was singled out because of his very noticeable hair style that appears to get larger throughout the series. Finally, to the pièce de résistance. 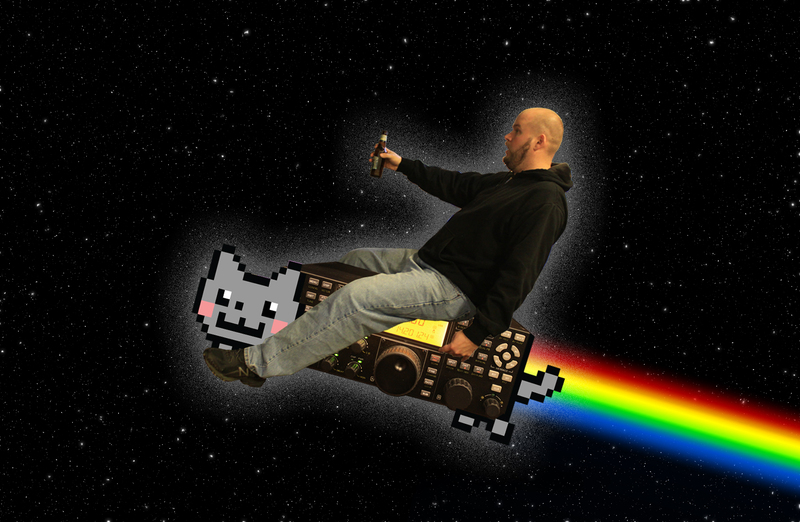 Me riding a K3 expelling rainbows. Me riding the K3 is an idea I saw from my what is known as my twin on the internet. He was riding a 40oz bottle of beer. I am riding my K3. 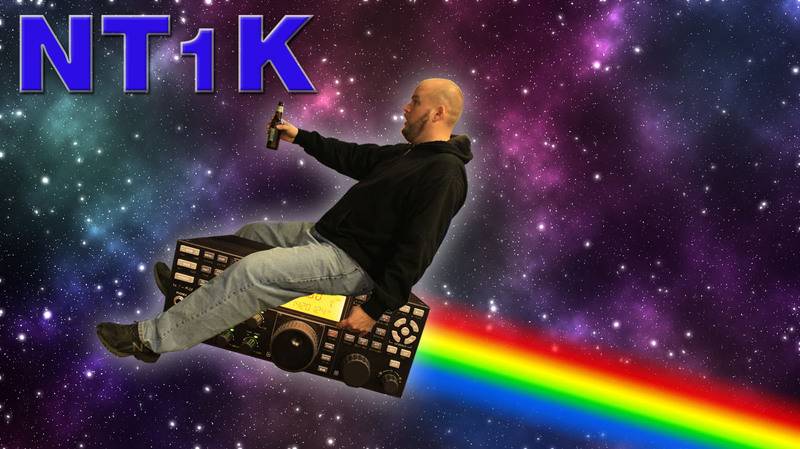 Frank (KG6EYC) from FBOM suggested that I should the K3 into a Nyancat which is a very popular internet meme of a part cat, part pop tart flying through the air with a rainbow trailing. So instead of a pop-tart and Nyancat, it’s now a K3 instead of poptart and we call it Nyancraft. 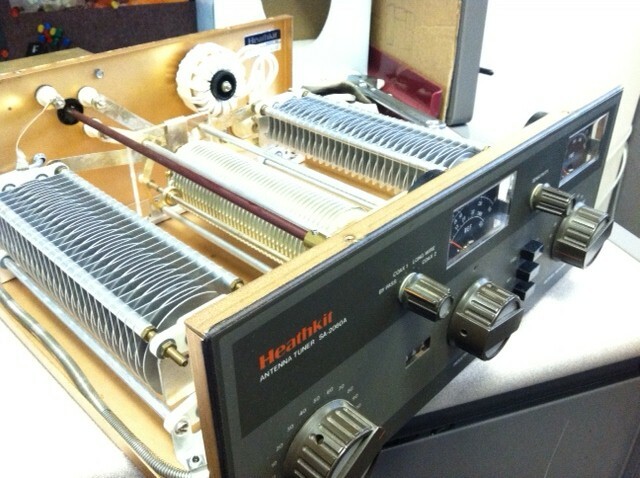 On the very bottom of my card you will see my 3 element yagi tri-bander. The card is now complete. So what the deal, I don’t get it? That’s the point. It purpose was to make people go “What the heck is that!?!”. 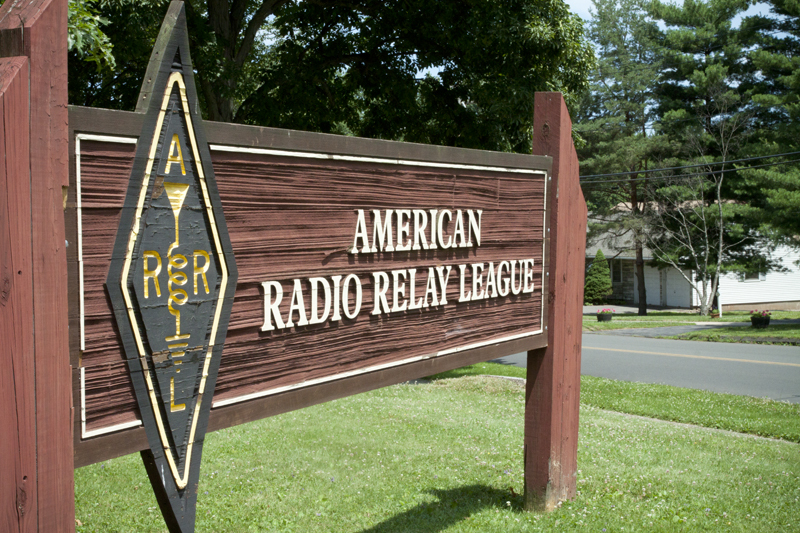 Since I know in the amateur radio community there will be a few who actually get what’s going on, it will confuse most. 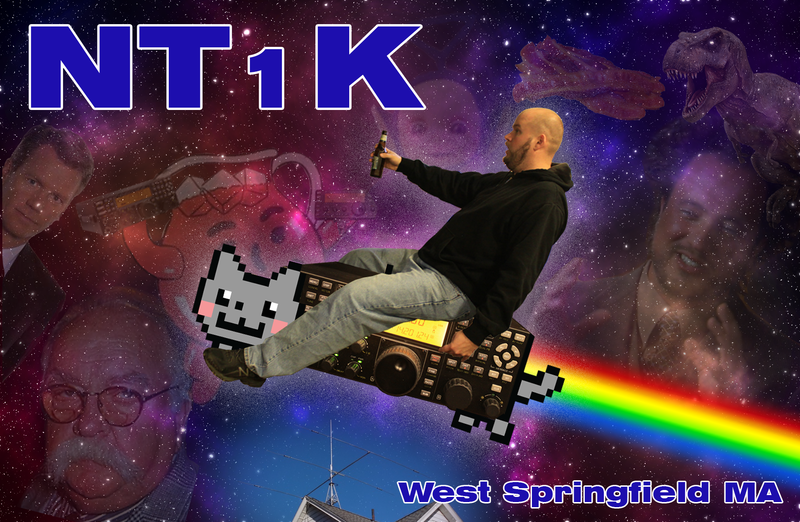 It’s not some plain boring 2 color QSL card that will be glanced at and thrown in a drawer or in the trash. This card will be looked at. So I did it just to be different. There are no hidden meanings or messages. It’s was done just to be different. If you receive my card, I hope you enjoyed it. 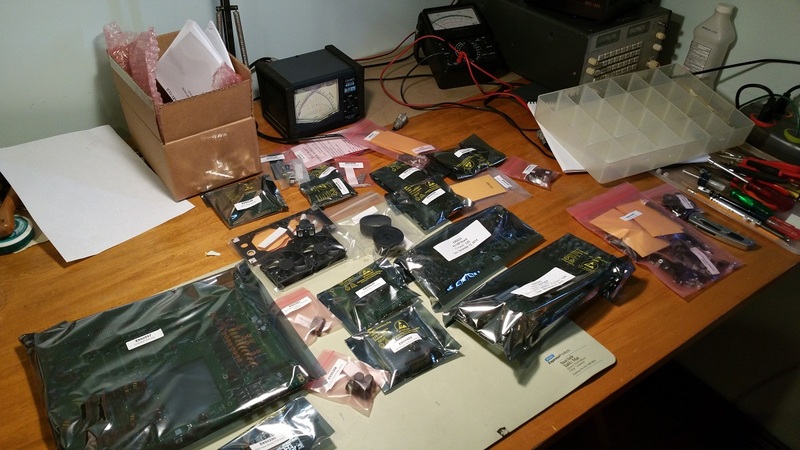 I’ve been backlogged with cards for about 4 years now so I am replying to all those who sent me their QSL cards with a SASE first. 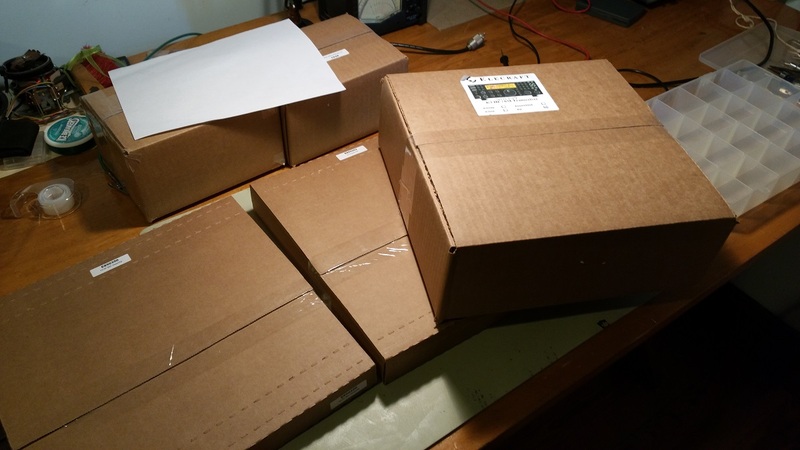 Then I am sending out cards for twitter and reddit contacts. 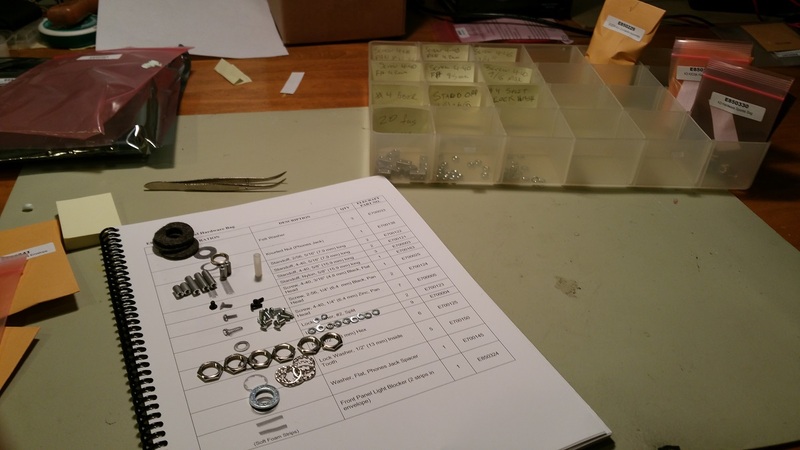 after that I will reply to all domestic cards and finally I will make a batch for the bureau that will included replies and much needed entities. If by any chance you are offended by my card or you feel it has hidden messages or meanings then I think you need to lighten up and not get easily offended. It was meant to confuse not to offend. If you enjoyed it. Thanks! 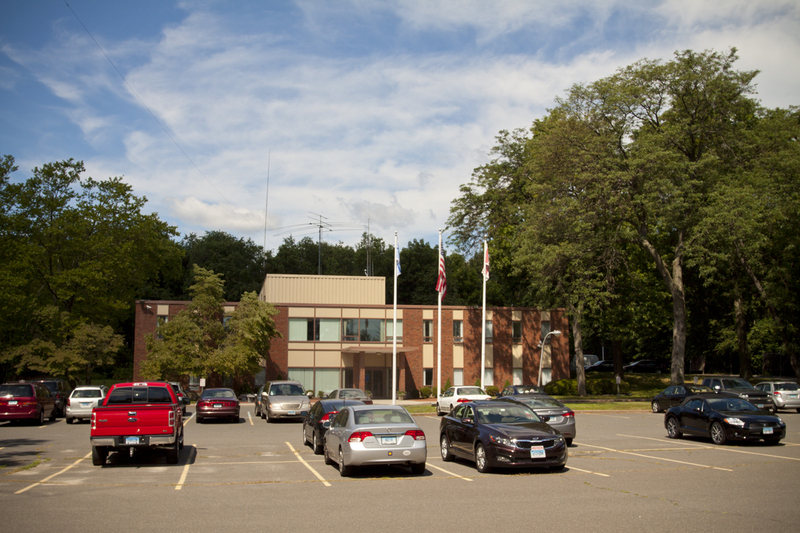 I’ll be upfront and honest and say that I’m not really a fan of “Emergency Communications” or as the ARRL would like to now call it, “Public Service Communications”. It’s just not my cup of tea. I think that SOME of the people that are involved are using emcomm/skywarn as a way to flex their egos and/or as an outlet to their dreams of being a public safety official such as police, fire or EMT for whatever reason. I don’t want to discourage anyone and there are hams who are really care about their community and help out without getting caught up in the whacker fest. 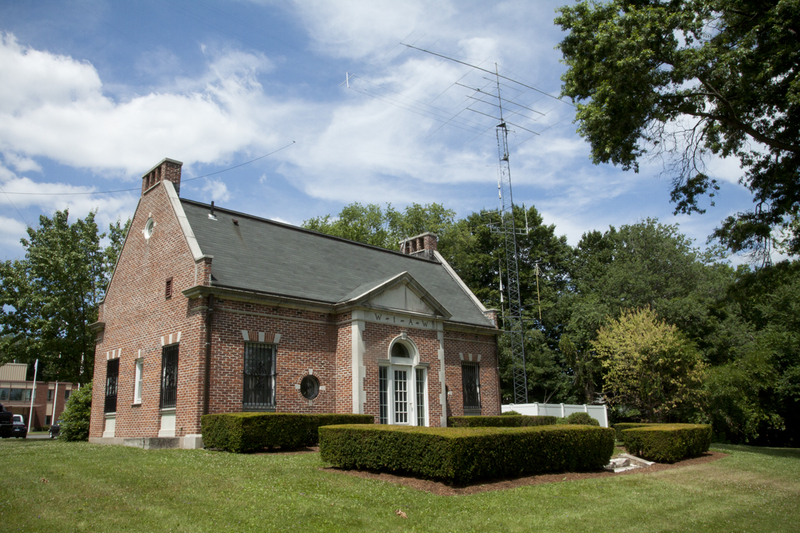 But that’s what’s great about ham radio, there is so many aspects to it that you can dislike an entire aspect but yet still enjoy the hobby overall. 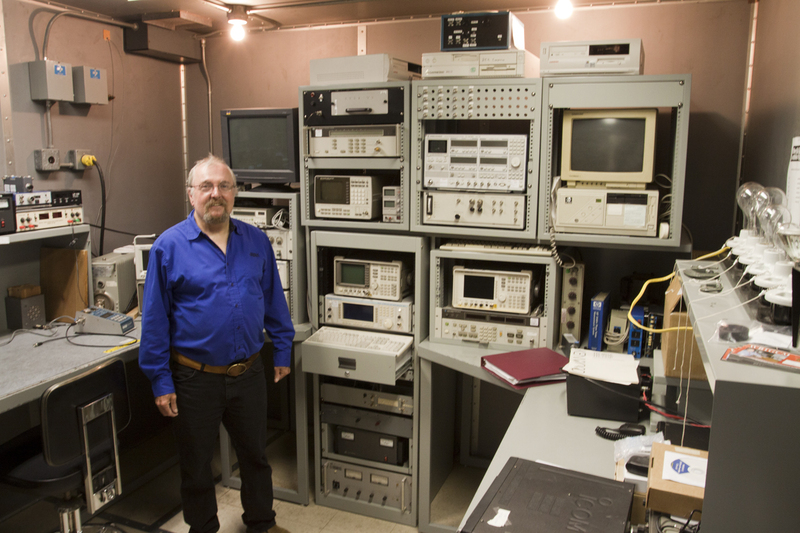 Anyways, I’m not hear to harp about emcomm. Like everything else, I arrived to the class early so I got to see who was showing up. 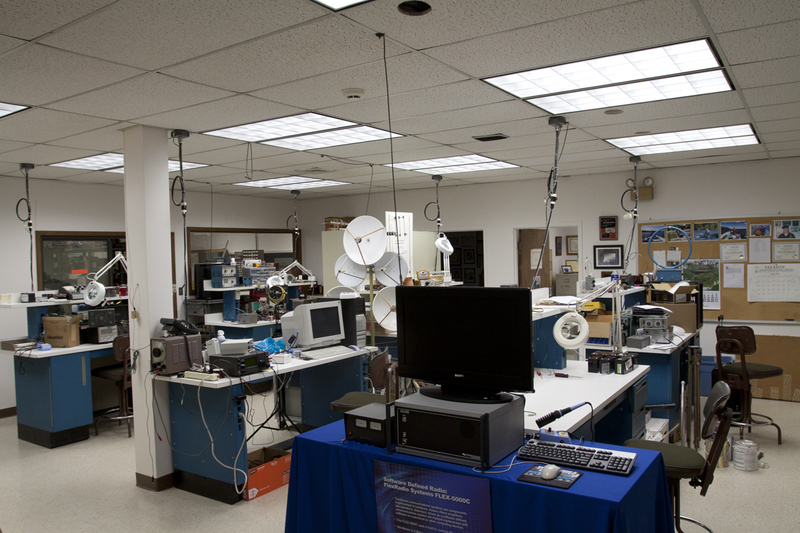 I recognized a lot of the people that showed up to the class as local area hams which I was expecting to see. 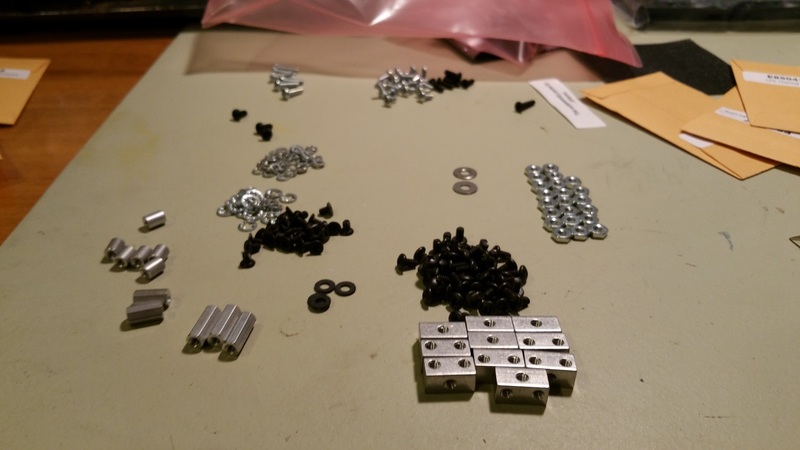 However I also saw a lot of people that I’ve never seen before and I’ve seen a a bunch of new hams which is great to see them being active in parts of the hobby. 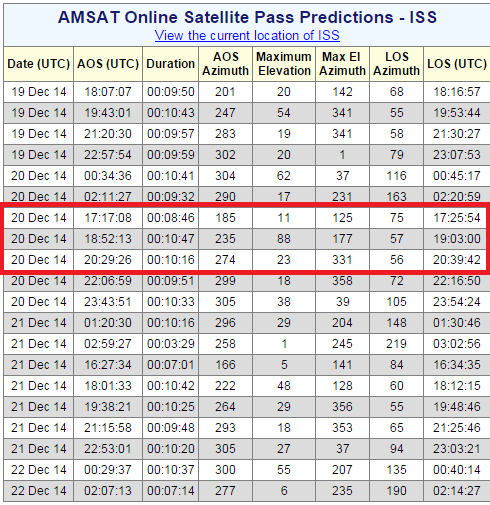 Hopefully they don’t drink too much of the emcomm kool-aid. I went to the class expecting that I was going to fall asleep or not be really interested about weather or skywarn because I wasn’t really interested. I was expecting the class to be dull and boring with slides of clouds after clouds with the sleep inducing monotone voice over of the likes of Ben Stein. However once the class started, I actually became very interested. The hosts were lively and you can see their passion about weather. It wasn’t going to be a snooze fest. 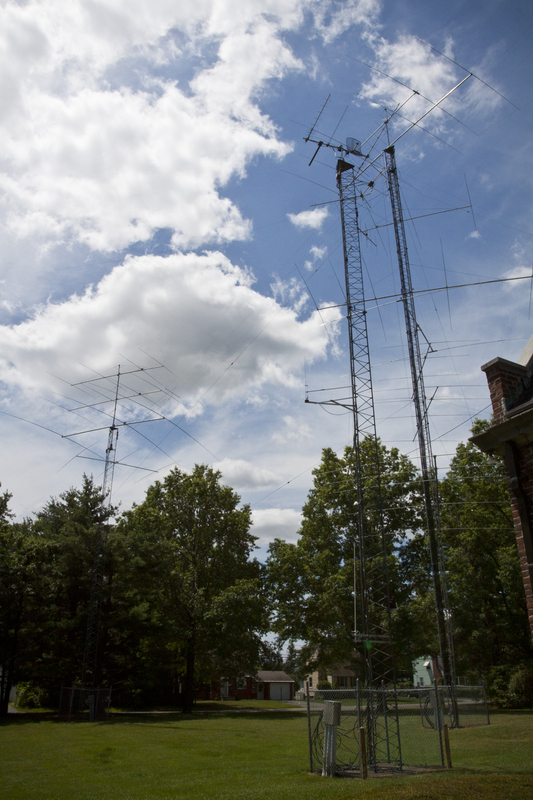 I’ve learned quite a bit about weather that applies to more than just skywarn and amateur radio. One person I instantly noticed in attendance was Brain Lapis, the Chief Meteorologist from WWLP TV 22. I’m not sure if he was asked to show or he showed up on his own intuition. Either way it was great to see a local meteorologist in attendance. I gained a little more respect for not only Lapis but for WWLP overall as I didn’t directly notice anyone else from the media there. I’m glad I attended. 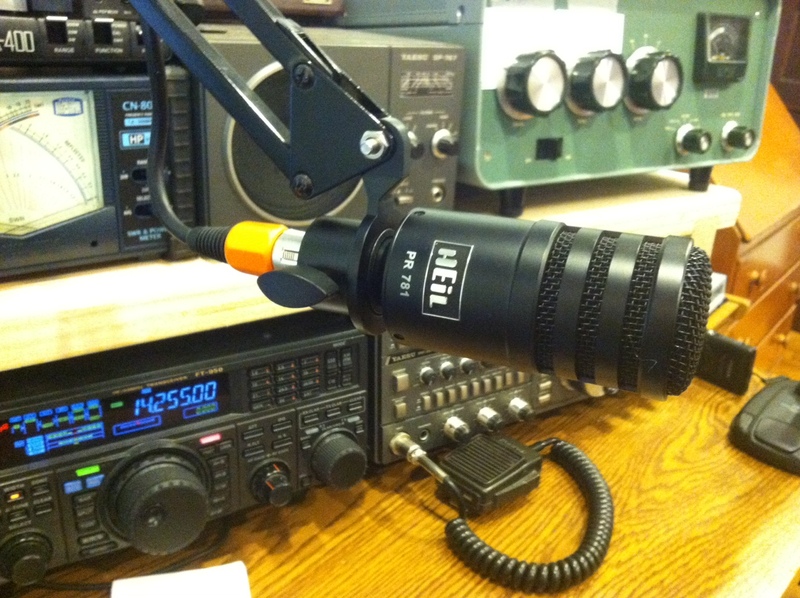 Ham radio reasons aside I’ve learned quite a bit and could apply it to everyday life. 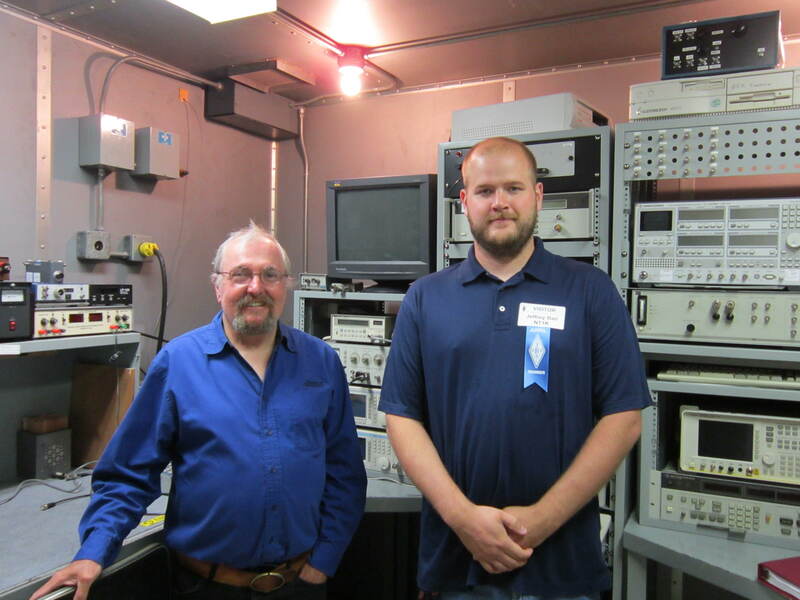 When it comes to Amateur Radio and reporting, I was glad to see they weren’t encouraging “storm chasing” and I finally know what information they want compared to what I often hear on the radio during significant weather events. 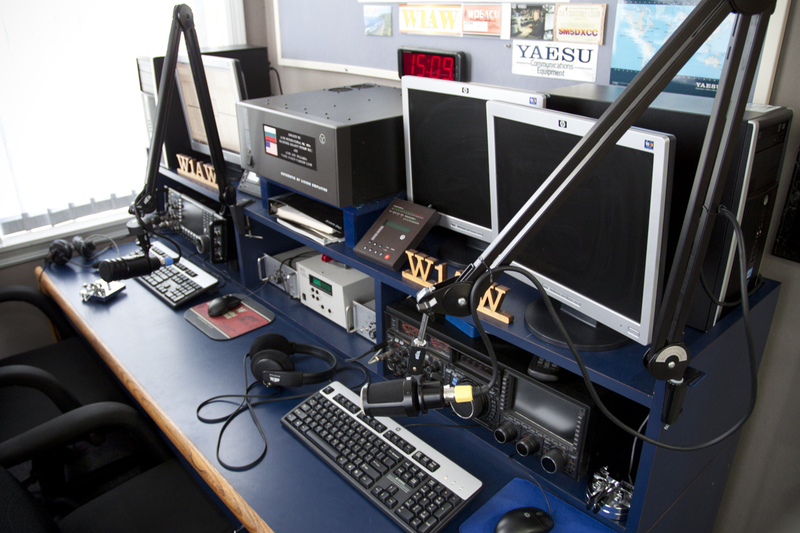 If you ever plan on reporting to skywarn VIA radio then I would strongly suggest to at least attend a Skywarn class. That way when you make a report, you know it’s a report of information that the NWS actually needs instead of tying up the airwaves with un-wanted information, information that you personally didn’t witness with your own eyes (e.g. Reporting stuff you’ve heard from a police scanner) or the wrong information that could make things worse. I don’t think I will ever be glued to the radio during weather events but I left the class learning a lot about weather. 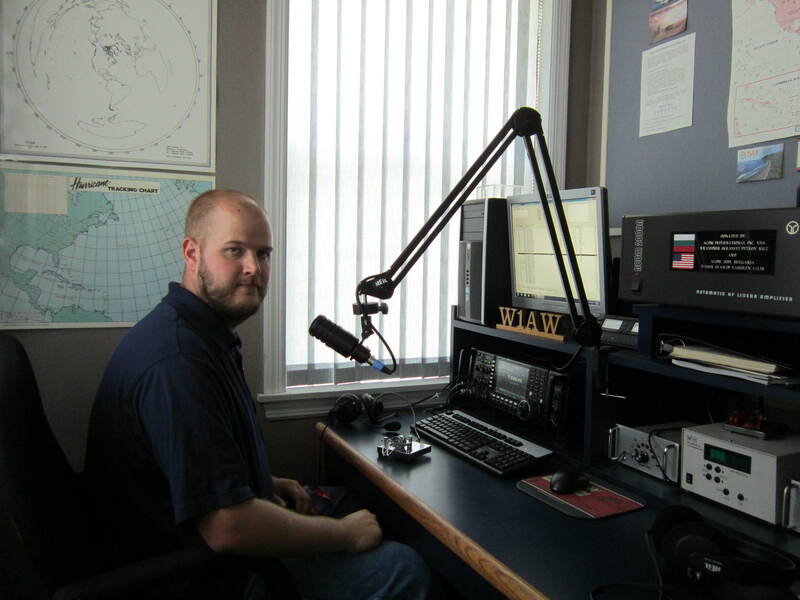 Author NT1KPosted on May 31, 2014 Categories General Ham RadioTags Class, Fest, Skywarn, Spotter, Whackers, WWLP3 Comments on To Skywarn and Beyond!